On December 21, 2018, New York State Governor Andrew Cuomo signed into law Assembly Bill A-10336, which will increase the minimum number of individual members that a not-for-profit membership corporation is required to have from one to three. The stated justification for this law is to prevent abuse by individuals seeking to use the nonprofit to further their own private interests rather than the nonprofit’s exempt purpose, which is impermissible under state and federal law. 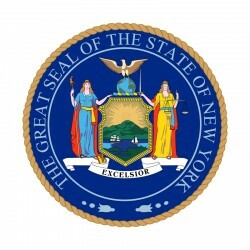 The law prior to enactment of this bill allowed New York nonprofits to have only one voting member, giving that individual the sole right to elect the Board. An exception is made in the regulations to allow a corporation, joint-stock association, unincorporated association, or partnership to be the sole member of the nonprofit corporation when that entity is owned or controlled by three or more persons. This new law reflects a trend in New York State for enacting highly prescriptive nonprofit governance requirements and restrictions in an effort to curb abuse of nonprofit organizations’ assets. It is worth noting, however, that a sole membership structure is not uncommon and is often used by organizations for legitimate reasons, such as to ensure that the organization continues to adhere to its original charitable mission and vision. The IRS, which enforces laws prohibiting private benefit, has approved tax-exempt status for organizations that utilize a sole member structure. This sole membership structure is allowed under other states’ laws. The new law becomes effective on July 1, 2019. Not-for-profit corporations incorporated in New York should review their governance structures to determine whether any changes are required to maintain compliance, including the addition of new members. Nonprofits incorporated in other states which are doing business in New York should not be affected by this change. For information on why Delaware is such a popular state for incorporating not only businesses but also nonprofits, you can read the blog post written by my colleague, Jeremy Coffey.